The judge for the Feather/s Competition was Geoff Walker. Geoff talked briefly on his life as a photographer and his Adobe certification. He also discussed the work of Julieanne Kost, who is a Principal Digital Imaging Evangelist for Adobe Systems from the USA. She will be at the PSNZ National Convention this year in Tauranga from 29 April – 3 May. For the first competition of the year there were 16 prints and 30 projected images. The entries will be on our Gallery page shortly. 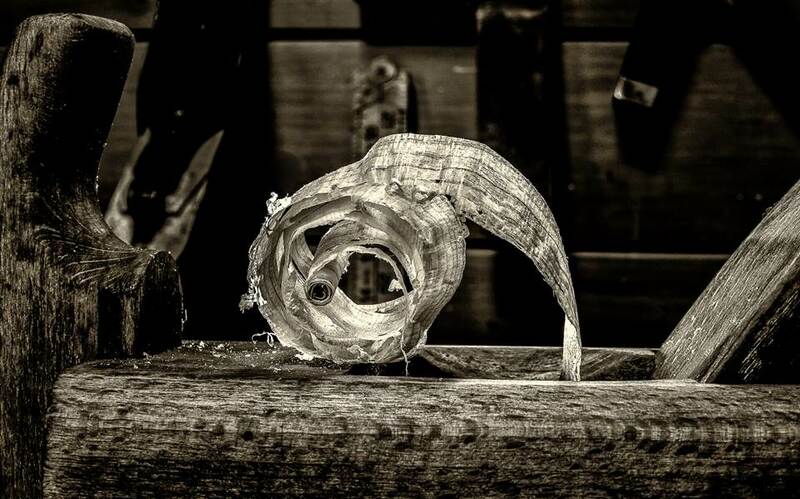 Greg Arnold was the best print winner with his beautiful image of a wood shaving (pictured above). Geoff discussed whether the image actually fitted into the category and his final opinion was, yes. This image was the last print Geoff looked at and as soon as he saw it, he just knew it was the winner. In my opinion (Jan), Greg definitely thought out of the box on this one, very creative indeed and well done Greg, a really lovely image. 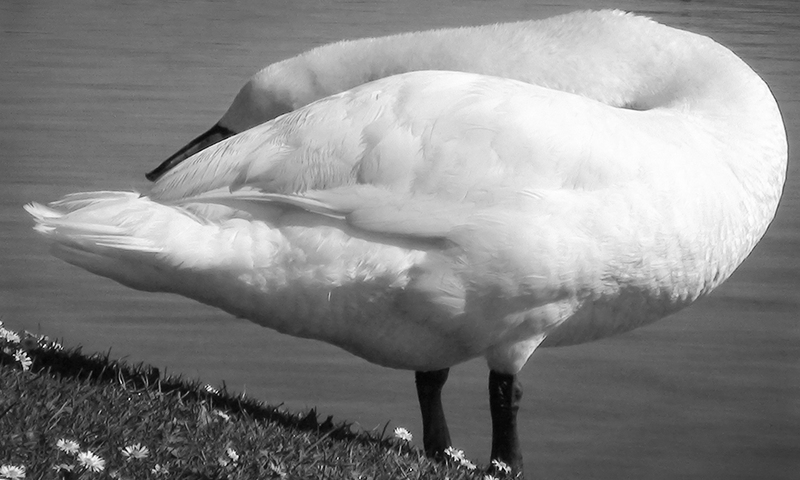 Best projected image went to Anne Nelson for her “Repose” black and white image of a swan. This image also stood out to Geoff. Well done Anne. In both digital and prints, some images were too tightly cropped and there was not enough space around the image. Some images looked over sharpened and pixelated. Focus should be on the subject ie: feather rather than another part of the image. Some of the “lighter feather” images that had dark backgrounds – the backgrounds were not dark enough to make the image pop, therefore this made the images a bit flat! He suggested underexposing so the background gets darker and the subject stands out more. Geoff is a firm believer in giving your image a title; this is part of entering the competitions, in his opinion. Some images could have done with some tidy ups of strands of feathers sticking out but as he said, he was being fussy! He demonstrated removing some strands so we could see the difference. This entry was posted in News on February 11, 2015 by Compsec Waicam. Well done to the winners of the “Feather” competition.